The carpet cleaning industry is built upon the capacity of cleaning hard-to-clean stains, dirt build-up, and the overall cleaning and sanitizing of carpets. In order to do this, the most effective carpet cleaning techniques make use of powerful chemicals that can clean, treat and sanitize yards and yards of carpeting in various homes and buildings. Unfortunately, once the process of carpet cleaning is done, there remains the problem of the disposal of wastewater that is the byproduct of the carpet cleaning process. 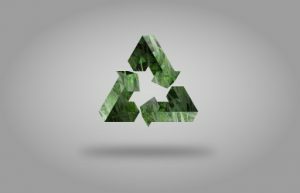 The reason why the post-carpet-cleaning process is so important, and why it has spurred a recent move towards “green” carpet cleaning methods, is because of the environmental impact that improper wastewater disposal can have on the environment. Because of the kinds of cleaning chemicals used, and the resulting concentration of chemicals, dirt, grit, and waste that comes from cleaning dirty carpets, what results is potentially toxic wastewater. These are non-biodegradable concentrations of waste that can accumulate in a city’s sewer system, which may even potentially result in screening problems in wastewater treatment processes. Sometimes, if such wastewater is improperly disposed of, such toxic wastewater never makes it to treatment facilities at all, but instead is absorbed back into bodies of water such as underground waters, rivers or streams, or back into the oceans without any treatment at all. The repercussions on the environment are obvious. 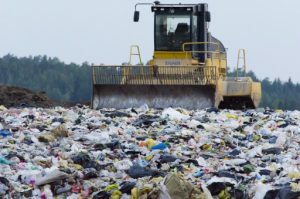 Not only are these wastes non-biodegradable and likely to persist as toxic substances contaminating bodies of water, but being released back into the environment in this way, whether having undergone treatment processes or not, can be dangerous and possibly even lethal to aquatic life, land and water ecosystems, and even to human life, health and welfare. What, after all, ties all living beings together than our need for water? Most carpet cleaning wastewater contains highly alkaline chemicals, aggressive enzymes and disinfectants, sodium formulations, dyes, bleaches, ethers, and various other chemicals whose main purpose had been to clean carpets. 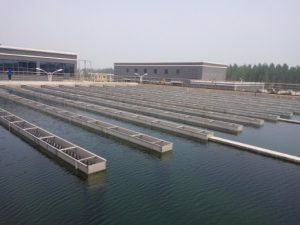 If the wastewater resulting from cleaning methods that make use of these chemicals, is improperly disposed of and finds its way into the environment, it can potentially endanger whole ecosystems and the life that they contain. The same is also true for humans, human life, and human health and welfare – particularly if such carpet cleaning wastewater disposal has been “disposed of” within the vicinity of a home or any other well-populated areas like parks, beaches, lakes, etc. One particularly dangerous chemical byproduct is butyl cellosolve, which can potentially damage a human or animal’s central nervous system kidneys, blood and liver. Traditionally, carpet cleaning methods make use of chemical substances such as soaps, cleaners, detergents, shampoos and solvents to remove stains and give carpets a deep clean. 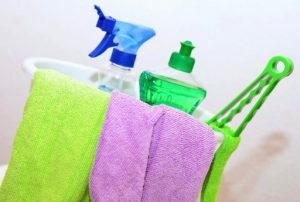 Unfortunately, it is becoming increasingly apparent that the use of such substances have had a negative impact on the environment, as there have been marine and aquatic life forms that have recently been found to have ingested carpet cleaning chemicals, with the residue being found within their systems. The effects of such carpet cleaning chemicals and solutions on wildlife aside, the presence of such chemicals in the environment can also negatively impact the life and health of human communities, as well. Even with the practice of safe wastewater disposal methods, it is always possible that some volume of these substances may find themselves tracking into wells, underground waters, lakes, and other sources of drinking water for humans. As such, recent moves have been focused on eliminating the problem right at the source, and instead of using harmful chemical cleaners and solvents, green methods that carpet cleaning salt lake city company employ, including the use of environmentally friendly carpet cleaners, are being pushed forward instead. One often overlooked effect of using environmentally friendly carpet cleaners is how doing so may help keep your carpets for longer periods of time than if you were to use chemical-based cleaners. This is because chemical-based cleaners are notoriously difficult to remove completely from the carpet. There is almost always some form of residue that gets left on the carpet, even after numerous rinses with water. This is a sticky kind of residue which you might recognize as having a “crunchy” feel among newly-cleaned carpets. Unfortunately, this residue can also potentially attract new dirt again that you might begin wondering how quickly your carpet becomes dirty after every deep cleaning. On the other hand, water-based carpet cleaners are comparatively easier to wash away, and they hardly leave any residue that could serve as a magnet for dirt, dust, and grime. The harsh solvents and chemicals that are used to deal with stubborn stains and dirt in your carpets can be harsh enough to adversely affect your family’s health, too. Even after the deep cleaning process is finished, there is almost always some chemical residue that gets left behind on the carpets. Once foot traffic begins tracking across your carpet again, these chemicals could be kicked into the air to mingle with the air and atmosphere inside your home. These are possible potential allergens that could severely compromise your family’s health. On the other hand, green carpet cleaning methods make it a point to use organic-based substances or cleaners, ones that are naturally occurring in the environment and therefore harmless to humans and the environment. If you find any of your family members or pets beginning to suffer from dizziness, headaches or respiratory ailments, or even dermatological problems soon after your carpets have been deep-cleaned, you may want to look at the possibility of shifting to more natural cleaning methods and products. If you hire carpet cleaners to do the work for you, interview them regarding the methods and the products that they use. More recently, some carpet cleaning companies have been promoting green carpet cleaning techniques and processes, with specially-formulated products that contain minimal chemicals while still providing effective deep cleaning. You may want to expand your search to green carpet cleaning companies in that case. One great concern that has been recently voiced about the carpet cleaning industry is the potential harm that improper disposal of carpet cleaning wastewater can have on the environment. This is because carpet cleaners that make use of traditional carpet cleaning methods, and traditional carpet cleaning, chemical-based products, will inevitably produce wastewater that contains the harmful chemicals and solvents that were components of the cleaning products, and also all the dirt, grease, grime, and human waste that were removed from the carpet itself using those chemicals. 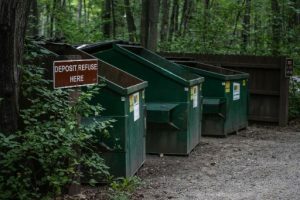 The result is a potentially lethal or toxic wastewater combination whose improper disposal has raised enough concerns among communities so much so that state legislatures have begun to prescribe guidelines for what is considered “proper disposal” of wastewater in the carpet cleaning industry. On the other hand, if you make use of “green” or environmentally friendly carpet cleaners in the first place, consisting of water-based, organic substances that occur naturally in the environment, these are expected to have minimal or little impact on the natural environment should they find their way into waters and streams. It is good industry practice, if you are in the carpet cleaning industry, to put in place proper disposal methods for carpet cleaning wastewater. Carpet cleaning wastewater can contain potentially hazardous and toxic materials, including bacteria, body fluids, chemical compounds, grease, pollutants, smoke, detergent, solvents, among others, and how you dispose of these materials can greatly impact the environment. 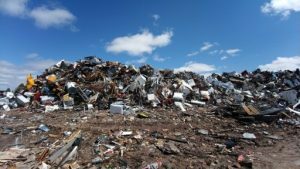 Improper disposal methods, by which carpet cleaning wastewater and all the hazardous components they contain, could find its way back into the natural environment, and even worse, into the world’s water systems, have been previously widespread. From there, the potential ramifications expand a hundredfold. Marine life, aquatic life, land and terrestrial-based animals, and potentially even human life and health, are affected. When you factor in how many miles of carpet are cleaned regularly each year, and how many gallons or possibly even tons of carpet cleaning wastewater that that translates into, it is easy to see how such a simple thing as wastewater from carpet cleaning processes can raise such concerns among the environmentally conscious among us. The problem has become pressing enough that various states have recently issued rules and regulations governing the proper disposal of carpet cleaning wastewater. These guidelines necessarily vary between states, and you will have to check the rules and regulations that are in place in your area if you are in the carpet cleaning business. In general, however, there are broad rules of conduct when it comes to disposing of carpet cleaning waster – the goal is to avoid putting toxic, hazardous or dangerous chemicals or materials into the environment. 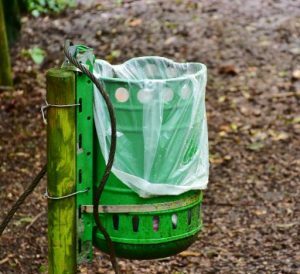 Potential avenues for disposal, therefore, include the drains of sinks, toilets, and bathtubs. 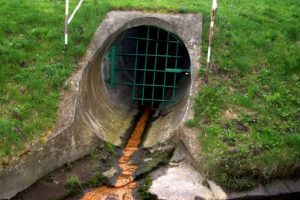 The reason for this is because sewer infrastructure usually connects to a treatment facility that treats wastewater before the same is returned to the environment. The filtered carpet fibers and other solids that are removed from the wastewater should be disposed of properly – which translates to solid waste management. They can simply be put into trash cans for disposal. On the other hand, if there is a possibility that the same carpet fibers and solids may contain toxic or harmful chemicals, then they should also be disposed of accordingly. Carpet cleaning wastewater should never be disposed of by pouring it down storm drains or over open ground. This raises the possibility that the disposed of wastewater and all the chemicals and wastes that they contain may make their way into natural bodies of water such as underground water or rivers and streams. Many of these bodies of water are sources of our drinking water, and so it is imperative that any contamination be avoided. This is a way of tackling the problem right from the source, and many have embraced the idea of it. Carpet owners, even professional carpet cleaning businesses, are opting for biodegradable and safe carpet cleaning equipment and cleaners that have little to no harmful or dangerous impact on the environment. The good thing about this approach is that many of these organic cleaners make use of regular household items, and any enterprising homeowner could clean and treat carpet stains herself without resorting to professional services. If on the other hand, you are dealing with yards and yards of carpet, such as the ones you would find in a commercial establishment, carpet cleaning is best left to the professionals. Look for those that promote environmentally friendly cleaning practices, as well. They usually have specialized carpet cleaners that are environmentally friendly, too. Another advantage of this approach to responsible carpet cleaning wastewater management is the fact that you are also reducing your family’s exposure to potentially hazardous or dangerous chemicals right from within your home. This is particularly true if the carpet cleaners you hired opted to use strong chemicals to treat your carpets. Those chemicals may often be left as residue on the surface of your carpets, and they can be released into the air once your carpet is once again subjected to foot traffic. As a natural consequence, the health and safety of the air quality inside your home might also become compromised. 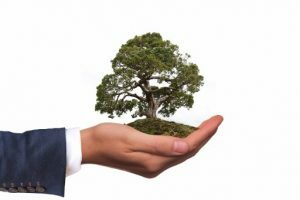 The bottom line is, carpet cleaners, despite the seemingly innocuous business they practice, actually carry a high level of responsibility regarding waste management and environmental responsibility. Just think of how many millions of gallons of water are used each day for carpet cleaning, multiplied by the potentially harmful or dangerous chemicals or substances that that wastewater contains, and the social role of professional carpet cleaners cannot be denied.